DEAR TIM: I am designing a home that will have a monolithic concrete slab foundation. My radiant heating system will be an integral part of this slab. Is it possible to install hardwood flooring over the concrete, or will I be forced to use ceramic tile? What needs to be done to make sure the wood floor will not develop cracks from the radiant heat? DEAR BRIAN: You are not pushing the envelope hard at all. Hardwood flooring and concrete slabs can get along just fine if you make sure your builder follows some easy, but important, guidelines at various stages as your home is being built. Concrete slabs that contain radiant heating can limit the style of wood floors that you have to choose from, but all in all, I feel you can create a dazzling look in your new home by mixing a few wood species and being creative with the actual layout of the hardwood flooring. CLICK HERE to get FREE & FAST BIDS from local hardwood floor installers who can put wood over radiant heating. Hardwood flooring and wood in general are hygroscopic materials. Liquid water and water vapor can enter wood which causes it to swell and change its shape and size. If and when the water leaves the wood, the wood can and does shrink, but not always to its original size and condition. It may warp, develop small check cracks in the surface, twist, bow or even develop cups or dips within each piece of lumber. Cracks in between pieces of wood may open up as the wood dries. In other words, if you want a wood floor to look very good for many years, you need to keep the wood in a state of dynamic equilibrium with respect to the indoor humidity and temperature. Controlling indoor humidity and temperature is easier to do in some areas more than others. In my opinion, you happen to live in one of the most user-friendly parts of the nation for hardwood flooring. The overall year-round humidity of the air in the Southwest is often very dry. Once wood acclimates to the dry air, it retains it shape and size very well. If, on the other hand, your new home was in the humid Midwest, the hardwood flooring might shrink and swell two or more times a year as humid summer air is replaced by dry winter air. Air conditioning helps stabilize hardwood flooring by keeping the indoor humidity levels close to winter levels. In your case, you need to make sure the concrete slab is fully cured and has released as much moisture to the atmosphere as possible before the flooring is installed. Ask the builder to keep as much air flowing through the house as possible during construction to aid in this drying process. You can check moisture content of slabs by taping a piece of 15-inch square clear plastic to the slab. Tape all four edges with packing tape that is moisture resistant. Wait 24 hours and inspect the plastic. If it is clear with no visible fog or water droplets, the slab is dry enough to proceed. A high quality vapor retarder must be installed under the concrete slab and preferably over the concrete slab just before the flooring is installed. The vapor retarder should meet the fairly new ASTM standard E 1745. These vapor retarders are the best and offer the highest level of protection. This is the special vapor barrier that meets the ASTM standard. CLICK THE IMAGE TO ORDER IT. 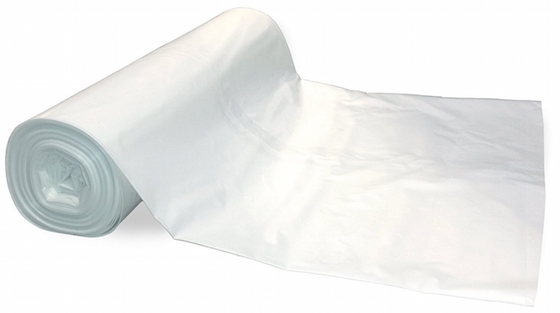 CLICK HERE to order this amazing vapor barrier now and it can be delivered to your home. The addition of the second layer over the top of the slab is an insurance policy against any rogue water vapor that tries to exit the slab at a later date. The radiant heat that emits through the slab can wreak havoc on hardwood flooring pieces that are greater than 2.25 inches wide. Some installers will say it is safe to install widths up to 3 inches, but smaller widths will have less overall movement in response to the radiant heating. Try to stay with wood widths as close to 2.25 inches if at all possible. The heating system needs to be turned on for several weeks before the wood is installed. The actual hardwood must be stored in the house where it can acclimate for seven to 10 days for the best overall results. Use wood species that offer the greatest stability. White and Red Oak, Teak, American Walnut, Mesquite and American Cherry are excellent choices. Adding an accent border of walnut or cherry in an oak floor is gorgeous. If you are lucky enough to find a creative hardwood installer, he will show you many options. Be sure your builder coordinates a meeting between the radiant heating contractor and the hardwood flooring installer before the slab is poured. These two sub-contractors need to tell each other what they need to make each of their systems work flawlessly for years. All too often these meetings happen after a hardwood flooring nail is pulled from a leaking radiant heating tube. Installing hardwood flooring over concrete is more difficult than installing it over a wood flooring system. Smart homeowners and builders only work with flooring installers who can demonstrate that they know how to do it. 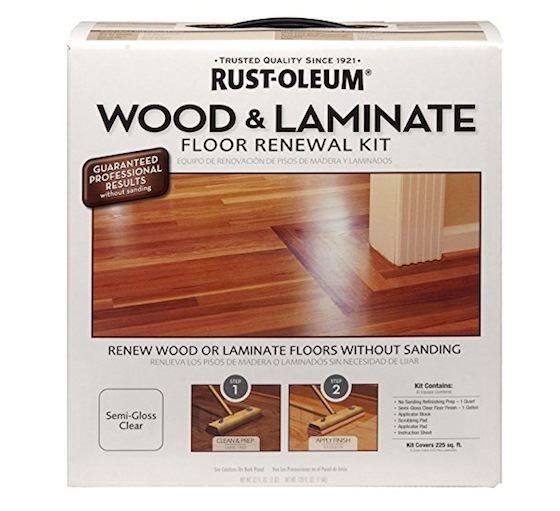 Here's a great product to do hardwood refinishing with NO SANDING. All liquid method. Magic! This is the wonderful DIY floor refinishing system. It's not hard to do. Just be sure the floor is CLEAN first. Use Stain Solver to clean the floor. CLICK THE IMAGE TO BUY this refinish system. I have a finished carpeted basement, and I would like to install a heated floor. Could you please suggest options and any possible information regarding this? I have forced hot water system at the house and 200amp service. Which would be more efficient? Would a dehumidifier system add to the efficiency of the floor heating system? I really liked your article. I thought for the hardwood floor to install, as it is expensive I have planned for engineered wood flooring. It will give same look of hardwood flooring and it is also less expensive. What will be the steps for engineered wood floor installation? Rest of the home has carpet flooring over the concrete subfloor. I will change the flooring for only the living room. Use my search engine and watch the three videos I did about installing a laminate floor. It's pretty much the SAME PROCESS.